Dr. Oscar Barbarin, Chair and Professor of the African American Studies Department (with joint faculty appointment in the Department of Psychology) at the University of Maryland. Dr. Barbarin is the former Lila L. and Douglas J. Hertz Endowed Chair, Dept. of Psychology, Tulane University. He earned a Ph.D. in clinical psychology at Rutgers University in 1975. He has served on the faculties of the Universities of Maryland, Michigan and North Carolina. His research has focused on the social and familial determinants of ethnic and gender achievement gaps beginning in early childhood. He has developed, a universal mental health screening system children pre-k to-8. He was principal investigator of a national study whose focus is the socio-emotional and academic development of boys of color. His work on children of African descent extends to a 20 year longitudinal study of the effects of poverty and violence on child development in South Africa. He served as Editor of the American Journal of Orthopsychiatry from 2009-20014 and on the Governing Council of the Society for Research in Child Development 2007-2013. 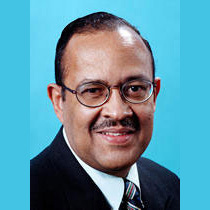 Oscar A. Barbarin III joined the University of Michigan faculty in 1979 as assistant professor of psychology. He was named assistant professor of social work in 1984, associate professor in 1985, and professor in 1991. He was appointed adjunct associate professor of psychology in 1986 and professor of psychology in 1992. He was named professor emeritus in 2001. Professor Barbarin's research focused on the development of culturally sensitive assessments of psychological disorders in African-American and Latino children. He worked with the Detroit Department of Human Services' Head Start program to design and implement a program of universal preventive screening of psychological and social risks. In South Africa and Uganda, he pursued projects related to culture and children's mental health, and many of his papers examine the interplay of the social, emotional, and academic development of African-American children. From 1996 until January 2000, he was the University's executive director of South African Initiatives, working with students from professional schools interested in research service projects in southern Africa. A productive researcher and scholar, Professor Barbarin collaborated on several books, including Childhood Cancer and the Family: Meeting the Challenge of Stress and Social Support; Children with Cancer: School Experiences and Views of Parents, Educators, Adolescents, and Physicians; and Institutional Racism and Community Competence. He has also published numerous articles in leading professional journals. Oscar Barbarin is presently the L. Richardson and Emily Preyer Bicentennial Distinguished Professor for Strengthening Families in the School of Social Work, and Senior Investigator at the Frank Porter Graham Child Development Center at the University of North Carolina, Chapel Hill. He is currently involved in a longitudinal study of the effects of family life and publicly sponsored pre-K programs on early socio-emotional and academic development. He is also interested in the effects of early childhood intervention and the etiology of achievement and underachievement in ethnic minority children. Culturally-sensitive psychological assessment, culture and children's mental health, development of African American children.